My neurosurgeon (who ended out not needing to do any surgery... my internist had personal business, and his backup felt like I should go straight to an expert in back problems) wanted me out walking as much as I felt like. I wasn't supposed to lift more than ten pounds at the time, which I didn't. Well, I ended out doing most of my walking at the Mall of Abilene. 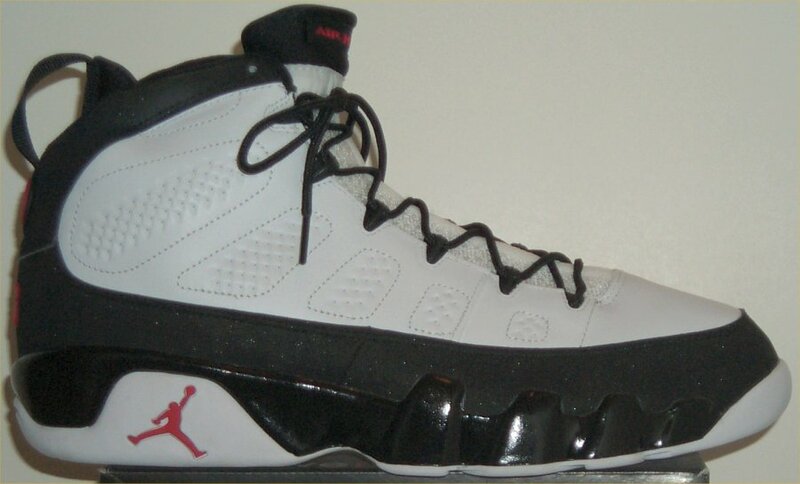 So, every day, I got to walk back and forth in front of the new Nike Air Jordan 9 sneakers. I resisted buying them until I got into physical therapy and was working really hard; then I felt like I deserved a little treat. One of my physical therapist's assistants immediately wanted a pair; on the other hand, she didn't have any interest in my beat-up blue Nike Air Flight sneakers. She ended out talking her husband into buying her a pair as a Christmas present! I remember that my dentist also thought they were neat, but I don't know if he bought a pair. I also wore them the last time I saw my neurosurgeon. 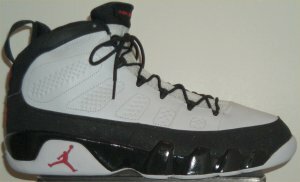 His comment about them: "Great sneakers! Just don't play any basketball in them or your back will get messed up again!"